To look beautiful at your upcoming function this half & half saree in pink - cream is a must have in your ethnic closet. Featuring georgette fabric enriched with floral ivy embroidered work having zari & stone work done all over. The floral & unique design lace work border within the saree adds to its ethnic charm. Saree comes along with cream unstitched blouse worked with lace. 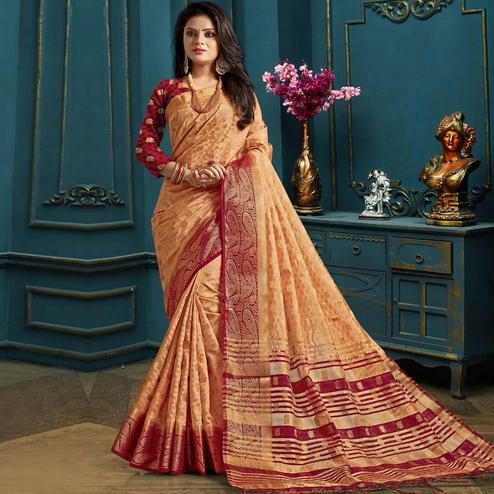 It's a perfect saree to pick for functions & parties.